Find your tile but can’t find the right color? We offer a professional tile glazing service to match the color on your roof. With our process, the glazing on your tile comes with a 10-year guarantee. Your roof tile color fades over time due to the elements. We can send in a sample of your tile to color match what’s on your roof so that you can get the closest match with your repair tiles. We follow a strict 4 step process; We clean our tile with RTC5000, we then apply our Hydro-Bond primer followed by 2 base coats of Hydro-Sheen in your color and finally, a clear coat of Hydro-Shield to ensure your tile is protected from the weather. If your tile requires flashing, or has multiple colors in it, they will be applied after the 2 base coats before the final clear coat. 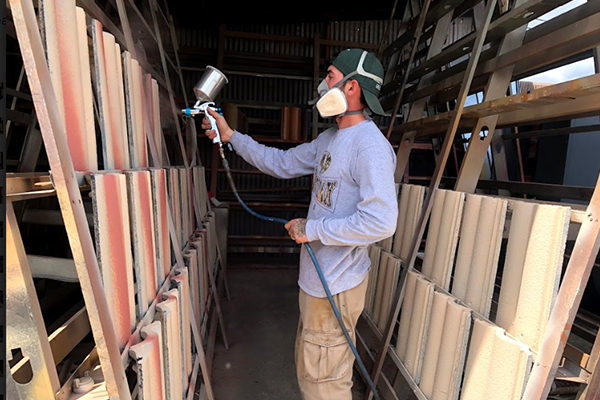 Our company work together with industry professionals to ensure that the quality of your tile glaze is as close to your original tile as possible.